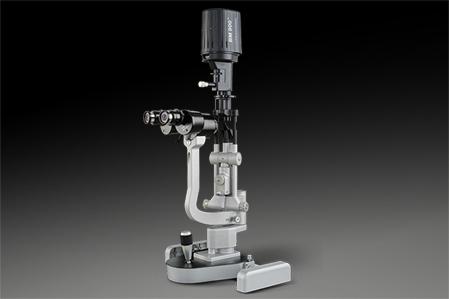 The Haag–Streit BM 900® LED has set the standard in modern slit lamp microscopy for more than 55 years. Over 100,000 professionals worldwide who own a BM 900 agree it was the best investment they ever made for their practice. It’s the classic slit lamp for professionals concerned with anterior and posterior segments. It’s a convergent, stereoscopic microscope offering short observer to patient distances and workhorse 10x and 16x magnifications. PD and optical correction are finely adjustable for easy viewing with no eye fatigue.